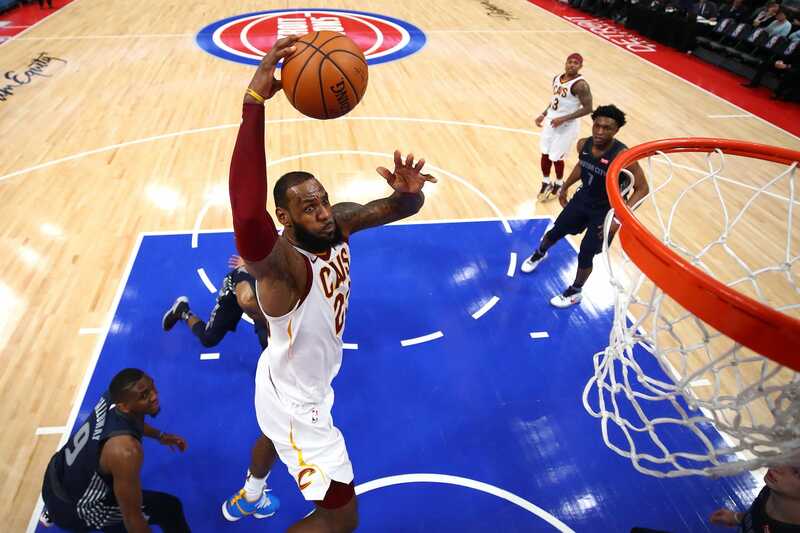 There are reportedly four clubs LeBron James could turn to should he exercise his right to opt out of his current Cleveland Cavaliers contract – but only one of them would make him the richest man in the history of NBA. James signed a three-year contract worth $US100 million in 2016, but has an opt-out this offseason. This means he can enter free agency, re-sign with the Cavs for more money, or pen a deal with a new team. He is not short of admirers. According to The Ringer’s Kevin O’Connor, there are four realistic teams James is considering. James could enjoy title successs with the Rockets, who have been dubbed “the team to beat,” but the Cavs can offer something else – they can make James the richest man in NBA history. Should James decide to stay at the Cavs and sign that mooted $US205 million contract, his deal would trump the $US201 million salary that Golden State Warriors point guard Stephen Curry netted in 2017, making James the wealthiest superstar the NBA has ever seen.